Are you looking to relocate Interstate? Move on a budget with Australian Container Removals. We provide a self pack service that saves you money. 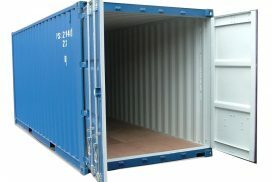 We provide a Shipping Container for you to hire, and self pack at your own pace. Our professional interstate removal team will ensure your container arrives at its destination in a careful and timely manner. Our team will ensure that you are kept informed during your entire Interstate relocation process. 3. We transport the moving container to your new location Interstate, you unpack the container, then we take it away. Easy! * See our General Transit Times Interstate here. 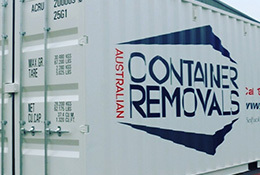 I would like to take some time to write a few words to show my appreciation for the service that Simone, Natasha & the team at Australian Container Removals Pty Ltd have delivered for us at thl. Over the past 6 month of our decommission season, moving 15 containers across ten locations nationally. Hi Simone & Natasha, Thank you for being our awesome transport supplier for our container. You and your team have amazing customer service and really look after your clients. Thanks, Chelsea. Hi Sam, The service we received from Australian Container Removals was excellent we couldn't be happier. Everything went smoothly even when we needed to put our container into storage it wasn't a problem. The price was great and we would definitely use your service again if the need arose. 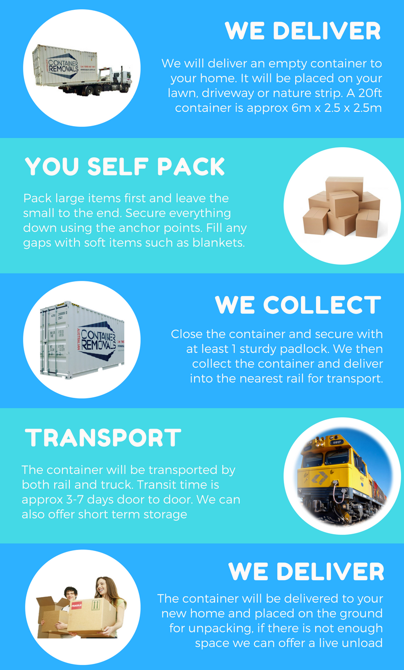 We would recommend Australian Container Removals to anyone planning an interstate move. Regards, Dave and Annette. Hey Sam, I would like to thank you, Natasha and your team for such an easy and pleasant experience with moving our container with you guys! It's unreal how much money you saved us, how responsive you were to any calls or emails made. Also the really quick turn around time of moving the container across the country. We would definitely recommend you to anyone looking at moving, also use you again if we ever need to move anything else. Thanks again for all your help Australian Container Removals!